Why was ALF on Mr. Robot? Recently, one of the series’ writers spoke with Vulture about the ’90s sitcom throwback in the most recent episode of the USA Network drama. 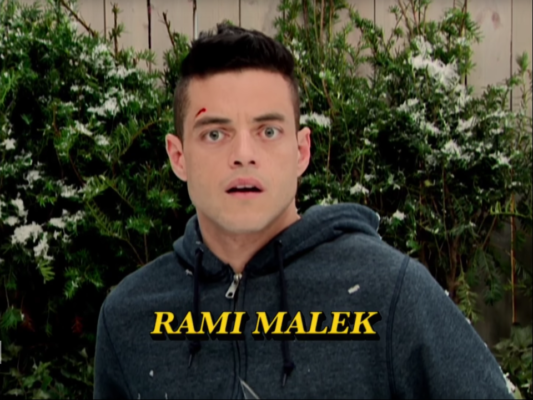 Created by Sam Esmail, Mr. Robot stars Rami Malek as a young computer programmer who is recruited by a mysterious, underground hacker society. The cast also includes Christian Slater, Michael Cristofer, Stephanie Corneliussen, Grace Gummer, Portia Doubleday, Carly Chaikin, and Martin Wallström. What do you think? Do you watch Mr. Robot? Did you enjoy the TGIF homages?